The Amigo Padded Leather Headcollar forms part of the Amigo leather range which has been developed using eco friendly leather that avoids the use of toxic chemicals during the tanning process. This Amigo Headcollar is a chunky, substantial headcollar with padding under the nose and head piece to ensure a comfortable fit. 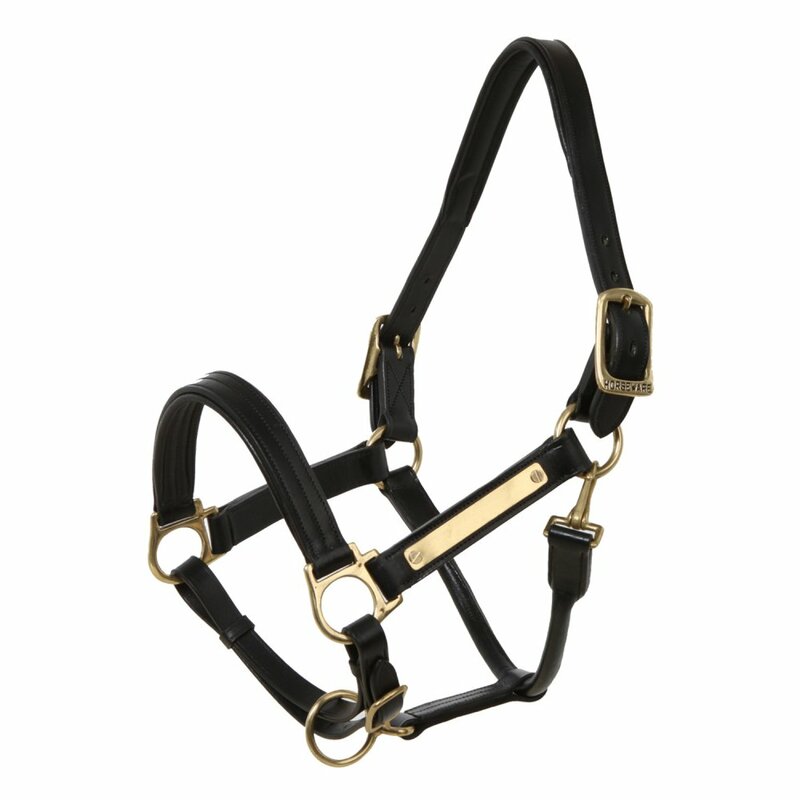 This leather headcollar has chunky brass buckles as well as a brass name plate on which you can engrave your horses name. Please note the plate must be engraved on the headcollar and not removed as the plate cannot be re-attached.